The time has come to stand up for our futures and for the future our planet. To stand with us and other environmental groups at Dublin’s iconic Dead Zoo, Merrion Street on November 17th – Rebellion Day 2-3pm. 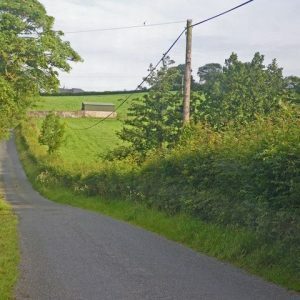 As Eamon writes “We can no longer accept our government’s continued apathy towards environmental issues, in the face of report after report outlining in no uncertain terms the far-reaching ramifications of climate breakdown and the devastating levels of destruction being wrought on our planet. We are in the midst of an extinction crisis. Humanity has wiped out 60% of animal populations since 1970. Our climate is becoming more unstable due to our continued dependence on fossil fuels, driving even more species closer to the brink and threatening our own species too. We cannot stand idly by as ecosystems collapse and our life-support is switched off. There is no planet B. And yet, less than one month after the Intergovernmental Panel on Climate Change warned that humanity has less than 12 years to stop dangerous, runaway climate breakdown, and just ONE DAY after the World Wildlife Fund study revealed that humans have caused a 60% decline in wildlife populations since 1970, Fine Gael expressed their ongoing commitment to oil and gas exploration. This is a government who have resisted calls for emergency climate measures, stalled on action on microbeads, blocked measures to reduce the tide of plastic waste, and introduced harmful measures that extend the hedge-cutting and upland burning seasons – all the while claiming that tackling climate change is their number one priority. Retrograde measures, failure to protect our wildlife and biodiversity, failure to climate-proof the National Development plan, combined with ongoing climate inaction – it’s time to act. Join us to highlight the extinction crisis and demand climate action. If you are fearful, if you are frustrated, if you’ve had enough, take this opportunity to express yourself and to get climate action on the political agenda. Time is running out. This will be a welcoming and family friendly event, open to anyone who cares about life on earth! No connection but related to the EPA lecture of 6th Nov which could be summarised by the remark ‘that when the daytime temperature is 40/50 degrees Centigrade, people sweat and must drink fluid to live; if there is none, people fight and die’.